Roxul is a Canadian company that offers environmentally friendly and high-performance insulation solutions for residential, commercial, and industrial application. 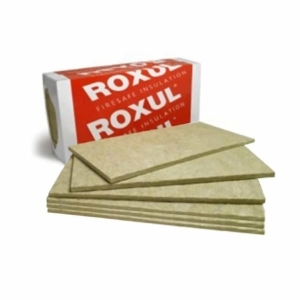 The unique non-directional structure of ROXUL Insulation stone wool content is denser than traditional insulations. This effectively reduces airflow and essentially, sound transmissions. It’s the open, porous structure of stone wool that makes it highly efficient in protecting against noise pollution. In ceilings, noise screens, around noisy machines, in walls, roofs and floors and even underneath rail tracks, ROCKWOOL insulation acts as a natural and effective sound barrier. Rockwool insulation is the number one acoustic solution when soundproofing buildings. ROCKWOOL International A/S is a world leader in stone wool insulation products, manufacturing and supplying a full range of insulation systems and solutions for the entire building envelope. All our solutions are sustainable and created to protect people, buildings and the environment – today and tomorrow. Rockwool products are in demand across the world. They operate 27 factories in three continents (Europe, North America and Asia) and have a global network of sales offices, distributors and partners. The unique combination of outstanding fire, acoustic and thermal insulation properties, as well as highly recognised sustainability credentials, which we can substantiate through awards given by the Welsh Government. Roxul products have been installed in domestic, commercial and industrial buildings of all types, from prestige projects including London’s O2 Arena and Hong Kong Airport to family homes, local hospitals and schools. Rockwool insulation products are made from stone wool, which is based on one of nature’s most abundant resources – volcanic rock. It is what forms the basis of our business and it is what enables us to offer insulation products with a unique combination of benefits.Besides from being made from a renewable and sustainable material, stone wool insulation is a durable solution, which will last the lifetime of a building. Furthermore, ROCKWOOL insulation products possess excellent thermal properties and protects buildings and people against unwanted noise and fire. It’s what we call a 4-in-1 solution. Put simply, rock won’t burn. That’s why our stone wool products have naturally occurring and unmatched fire resilience qualities that will improve the fire resistance of any construction. It’s not just heat and fire that finds it tough to get through rock. ROCKWOOL stone wool products are also amongst the most effective acoustic insulation solutions used in construction. Nothing lasts like solid rock. That’s why stone wool insulation won’t shrink, it won’t move and it won’t crumble. In fact, stone wool insulation is so durable, it will maintain its performance for the lifetime of a building. Choosing ROCKWOOL stone wool is the sustainable choice. Not only does our insulation products create sustainable buildings; it is made from a sustainable material and produced in a sustainable way too.